Here at Cutture we have always been acutely aware of our green credentials. As a company we currently recycle whilst manufacturing, to an industrial level, but also make sure we are working with suppliers who match our environmental policies, from the paper manufacturers to fellow printers. We maximise yields on paper lay ups, we minimise courier drops where possible to be multiple drops, we donate surplus paper to local schools and so on, but now is the time to work harder on our actual product, and the solution has just begun.. 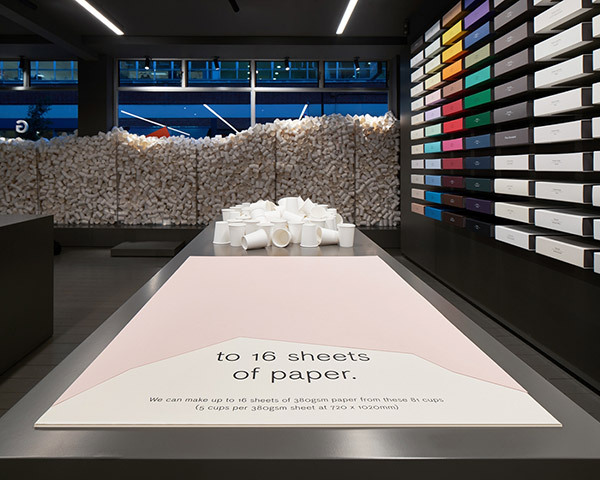 In this blog, Dominic runs through how we’ve gone about creating our first inkless, sustainable and 100% recyclable invitation using clever print processes and paper made from recycled coffee cups. Invitations are all about ensuring people attend events. They are an important part of any party or event and the first thing that people receive. They can wow and amaze guests in all sorts of ways, however, often this means using a huge amount of print techniques that are actually, not particularly environmentally friendly. We offset this by producing work that is created for longevity, therefore of course those print processes are necessary, we don’t want it to end up in the recycling bin, but we do have to find a more environmentally friendly solution. Our answer? To create an invitation that focused on environmental responsibility via print processes and materials yet would add that extra intrigue and key messaging via great design. Over the past few months, we have researched and developed a series of processes and materials that enable us to produce invitations that are environmentally responsible. 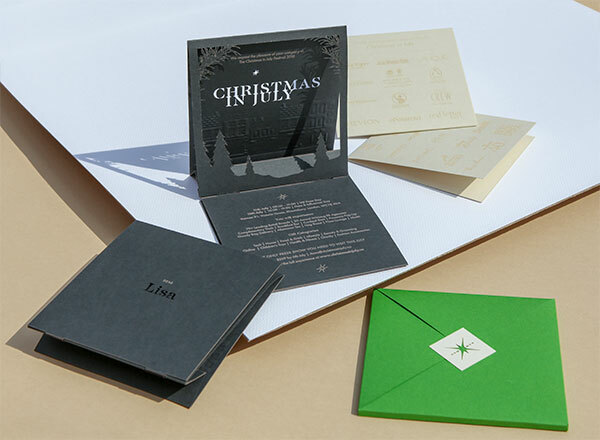 The invitation that we have created and made for the 2018 Christmas In July event showcases all these methods. Firstly, we selected the amazing new paper by GF Smith called Extract. 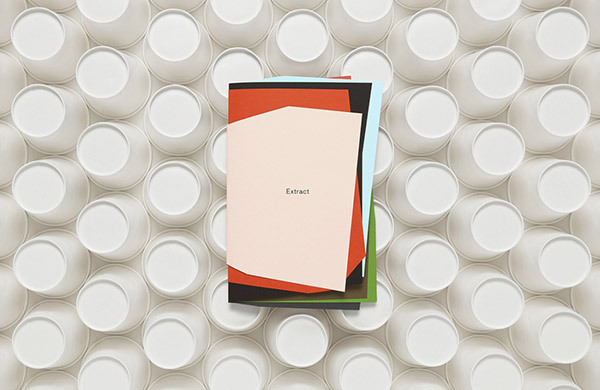 Extract is a pioneering paper inspired by our environment, the product is a result of a unique collaboration between consumer, recycler and papermaker. 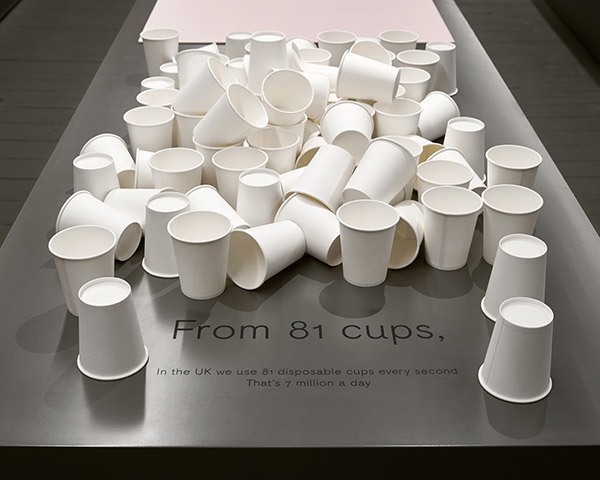 It is a dynamic combination of chemistry and artistry that takes disposable paper cups destined for landfill and transforms them into a beautiful paper. The entire invitation was made using three colours of this unique paper and this is the great bit, they produce beautiful colours which is so often not associated with recycled card, this is where we can make a real difference with enticing design and recycled paper stock. 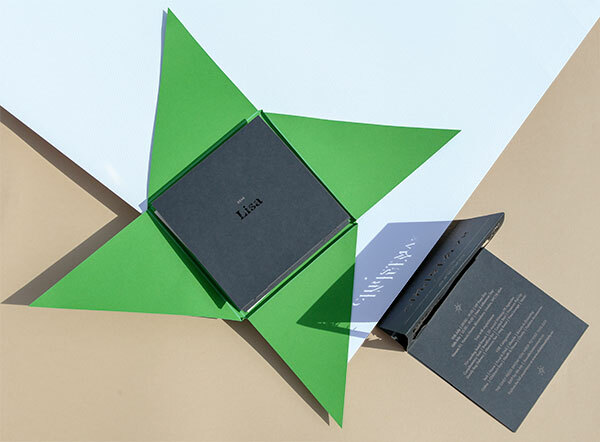 The invitation was then designed and engineered to ensure maximum yield from the sheet so there was minimum recyclable waste created, laser cutting technology was used to create an invitation that was inkless and glueless, whilst still being beautiful and unique for the recipient. Each invitation had the copy laser engraved, a process that removes a layer of the paper and leaves the contrasting coloured text. Finally, we used our ‘Namecut’ service to personalise each invitation with the invitee’s name, every name was laser cut on the back of the invitaiton providing the all important ‘reveal’ when they opened the origami envelope. The process that we have gone through responds to today’s requirements to be more aware of our environment that we live in. Our inkless invitations are recyclable, use recycled materials, use processes that have minimal effect on the environment and most importantly have an impact on the recipient guaranteeing increased customer engagement and attendance at events. 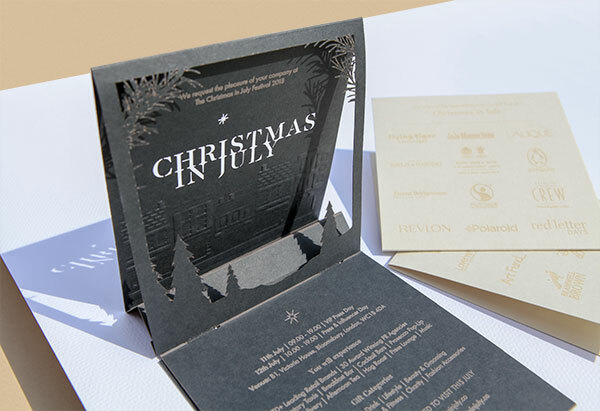 With the launch of our Inkless invitations at Christmas In July, now is the perfect time to think about how you and your business will thank their clients, suppliers and friends with a Christmas Card or Gift. We believe Christmas is the perfect time to do this. Please read our post about The Business of Christmas. Why not thank the people important to you with a stunning card or gift that is also environmentally responsible! We would love to discuss some ideas for your event with you. To learn more about the Extract paper by G F Smtih, please take a look on their website here.